When I first made the decision to start a blog, all I did wanted was to become a better writer. And while I have met and connected with a lot of incredible and amazing people on this path, I have equally grown to be better doing this. I have worked with a couple of small brands here and there, no much money have been made yet but hey, we are gradually getting there. 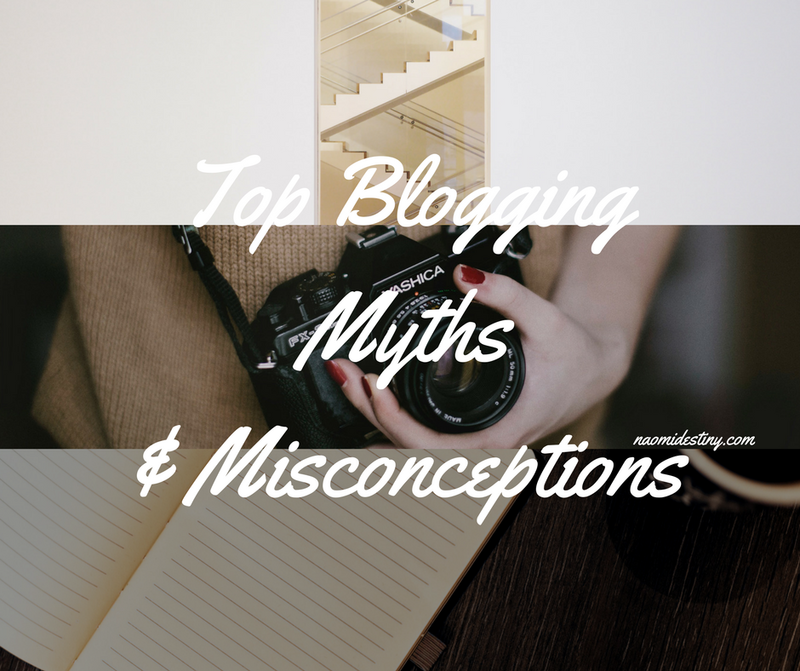 Blogging is serious business and I personally think it's unfair to judge or disregard bloggers based on these top 10 myths and misconceptions. Yea, blogging may be the new trend but no, not everyone is in it for the money. When I started blogging, I wasn't even aware that one could make money from it. I had no idea how to profit from it until I got enlightened on the subject matter. So, not every blogger is in it for the money and not every blogger out there is blogging because it's the new trend, some do it for fun. Blogging has been around for decades and it's not going away anytime soon. Why? Because it's one of the most effective strategy for online marketing. A blog is an online space where you can regularly update your visitors with information about upcoming updates, offers, and news. It's not a fad! No! Bloggers make money through Affiliate programs, AdSense, Sponsorships, Adverts, Collaborations, Featured posts, Endorsement deals, etc. and not through each post but it all depends on what level or stage you are in. Yes while content is key and people are attracted first to how your blog looks or what it delivers, you don't just make money easily like that. It's your consistency, value, originality, and quality content that makes people pay you for the service you render. Not true! So, who is a writer? A writer is someone who writes daily and has gained mastery over writing to the extent of obtaining certain qualifications to prove his/her status. Who is a blogger? Bloggers are visionary group of people who often express their views through posts on a particular subject matter of interest. And how do we post on our blogs? Is it by singing? Of course not, it's by writing! Just because most bloggers haven't obtained due qualifications to prove their writer status doesn't make them less in anyway because they still get to communicate and interact with their audience effectively. Whenever I hear someone say this, I feel like giving them a slap at the back of their head. If you don't know this before, hear it now and inform everyone that don't know; Blogging is a lot of work!!! You need concentration, you need to do well detailed research and put in hours of dedicated effort and time. It's a full time commitment! See, no aspect of blogging is easy and it's not cheap in anyway especially if you really want to go professional. You may not need money to start but you certainly need money to build and sustain a successful platform. I am currently working so hard to upgrade my blog and I know what it's taking me but I know I had enjoy the benefits later on. Little wonder why some take it as a full time job because it's really not easy. This actually ain't true either! I know of certain large organisations with blogs and bloggers who blog consistently but with a few effective audience. It all depends on how you define success and it's not always about having a large audience but about what you are presently delivering. I have progressively grown from an audience of fifty to a thousand within a short range and I know what I did not do then that I am doing now. So it all depends on you having a manifesto for your blog and knowing what to do per time or knowing what you truly want to achieve with your blog. This is one myth and misconception about blogging I really hate so much. Like seriously? Please go and school yourself. There is no way I am the next Linda Ikeji! I truly celebrate Linda Ikeji and how far she has come but please I am not her! Our blogs are totally different from each other and we don't do the same thing. 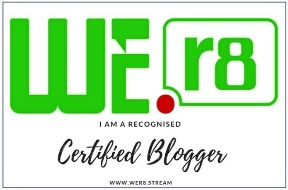 You all need to know there are several types of blogs; food blogs, lifestyle blogs, beauty or hair blogs, news and entertainment blogs, music and download blogs, photo blogs, inspiration blogs, gossip blogs, money and finance blogs, religious blogs, dating or marriage blogs, etc. It's important you are able to identify the niche of the blog you follow so as to avoid the misconception. This is false! You have to be consistent with your posts but you really do not have to post everyday to grow your blog. Advisably, two to three times a week will do just fine. But when you are first starting out, I think you will have to post more to prove your loyalty and commitment to what you do. So they said! But hey I'm an inspiration and lifestyle blogger and it may not be that much of a big deal but we are not jobless or unserious people. Most bloggers do this thing full time and it pays off for them. It's only those who have no vision or purpose as to why they blog that can be referred to as unserious or jobless. Hope you enjoyed reading the post? Do let me know if you can relate to all of this, I would love to know your thoughts and opinions. Thank you for reading!